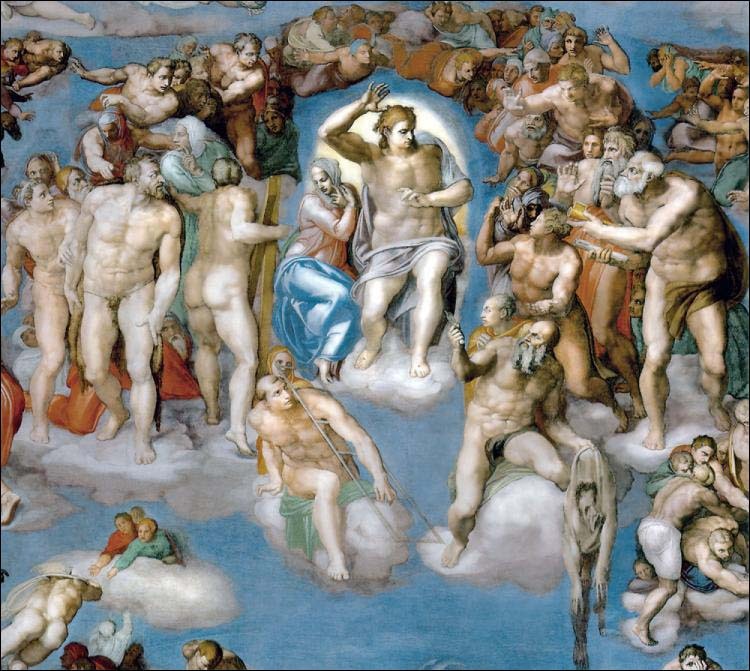 In 2009 the Pew Forum on Religion and Public Life released a survey which reported that only 59% of Americans believe in hell, compared with 74% who believe in heaven. This naturally leads us to pose the question: When was the last time you heard a strong, unfiltered and unambiguous homily on sin and hell? We know that God’s infinite mercy has been made abundantly clear to the faithful over the last fifty years, but how about His justice and the consequences of our sin? Those whose love for God has been perfected in this life are taken straight to heaven, where they enjoy endless happiness in the face to face vision of God. Those who die in God’s love but still love Him imperfectly must be purified in the intermediate state of purgatory. Those, however, who reject God’s love by mortal sin and die without repenting are condemned to the everlasting torments of hell. Teaching the Catholic faithful on the need to remain in a state of grace and to avoid mortal sin is an inherently merciful act. However, this requires more than simply asking people to go to Confession. We must also educate the faithful on what it is that they need to confess. Sin is an offense against God…Sin sets itself against God’s love for us and turns our hearts away from it. We have to accept the sad reality that many will reject the Truth. The obligation to evangelize requires charity and honesty, but ultimately it demands that we share the Truth with others. How the message is received is out of our control. With humility we must hand that aspect of evangelization over to God in prayer. When speaking of sin and hell with others it is important to treat adults like adults. In all areas of life we are required to make important decisions that carry with them consequences. Catholics are frequently presented with tough choices too, many of which put us in direct opposition to the current culture or even with our own fallen nature. The consistent and infallible teaching of the Catholic Church is quite clear when it comes to death and hell. Eternal damnation awaits those who do not repent but instead die in a state of mortal sin. I have seen many practicing Catholics become angry when presented with this truth of the faith. They have been given an incomplete picture of God over the years, one which only stresses His attributes of love and mercy while completely ignoring His justice and our free will. The sin of presumption is common among those who obstinately cling to habitual sins and then claim that they will simply rely upon God’s mercy when they die. We often hear that God will have to accept them “as is”, understanding that they “did the best they could.” This is the mantra of those who use contraception, reject the necessity of sacramental confession, frequently miss Mass, or some other habitual sin. Let us all behave like adults. God has given us the wonderful gift and responsibility of our free will. Together with our holy priests, may we all seek to catechize the faithful and work to form consciences. To this end we must make sure that we do not run from discussing the consequences of sin and the reality of hell. Posted on September 16, 2013, in holiness, life and tagged going to hell, hell, mortal sin, particular judgment, sin of presumption. Bookmark the permalink. 6 Comments. Our priest actually gave a homily on hell last Sunday. He broke out a half-dozen verses on ‘wheat and chaff’, on ‘the narrow way’, etc. He preached that while God’s love and forgiveness are infinite, we must repent and ask for that forgiveness. Failure to do that leads to hell. It sounds like you are blessed with a courageous priest in your parish (as I am in mine). Pray for him often. Offer rosaries for him that he will be fortified against spiritual attack. The evil one loves to take down brave priests who preach on the very real existance of Hell. I think the question for our society today is if there even is sin. Because of the trends in philosophy for the last 500 years since Martin Luther, many have denied there is such a thing as absolute truths. If you have noabsolute truths, or law, then you are not breaking any law. Thus, no sin. All things are relative. This is the dictatorship of relativism that Pope Benedict spoke of during his papacy. In a recent letter to a non-believer, Pope Francis addressesd this question of subjective truth. Here is the letter. http://www.repubblica.it/cultura/2013/09/11/news/the_pope_s_letter-66336961/ The comment is at the very end. He speaks of the fact that there are moral asolutes and that we are to pursue a relationship with Truth Himself, Jesus Christ. I addressed the argument of moral relativism in a recent blog post. It gives arguments you can give against this attitude of no such thing as sin and no moral absolutes. Well said and I agree with you. Our Pope emeritus was very consistent and clear in battling moral relativism. Blogs like yours help to do this. God bless! DiscipleofChrist, you make an excellent point that goes to the heart of the issue. I would add that a related difficulty is our society’s overemphasis on emotion, reacting based upon how we “feel” and not upon reason. So, to paint with a very broad brush, we are arrogant enough to create our own private views of morality, and at the same time, so psychologically fragile that we have our feelings grievously wounded if we are challenged about it. That’s what makes this topic a bit delicate: we must proclaim the Gospel in its fullness, not shrinking from the Truth, but in a way that reaches people and stirs up repentance, not in a way that causes their self-defense mechanisms to go up and shut out the message. Perhaps one way is to pick up on this emotionalism and frame it in terms of relationship with God: He gave us the Commandments for our own good, and we hurt Him, and harm our relationship with Him, by sinning. If we persist on this path, we choose to cut ourselves off from Him, and so send ourselves to Hell.